5* Hainan Airlines non-stop flights from Dublin to Beijing from €391! WOW! Cheap non-stop flights Zurich to Mahé, Seychelles just €357! Return flights from Milan to Denpasar Bali, Indonesia from €499! Good deals from Ireland to China are in general not so common and considering that this is non-stop solution on top ranked Hainan Airlines we have awesome offer for you to explore Beijing this autumn! 5* Hainan Airlines non-stop flights from Dublin to Beijing are available already for €391! This is for a round trip ticket and inclusive of all taxes and fees, in-flight meals and one piece of checked bag max 23kgs. Note that some of the inbound flights may require stop in Edinburgh. Looking for direct service from Europe to China this is perfect solution althought very limited travel options..
You will find the cheapest non-stop flights from Dublin to China on Hainan Airlnies when traveling in May or September 2019. 5* Hainan Airlines promotional flights Dublin-Beijing are available till 11th of January or until the cheapest seats last. Below you can refer to our booking and travel date samples. Travel samples from Dublin to Beijing. Travel dates. : The easiest way is to check directly with Hainan Airlines. Mark “Direct only” to see only non-stop options. They offer a week´s view so you can easily find the lowest fare available. We recommend to use service of Skyscanner to quickly find out which low-cost airline is connected from your hometown. If you need to book some affordable accommodation in Beijing we recommend service of Booking.com. or consider following promo codes that offer Hotels.com, Hotelopia or Venere. 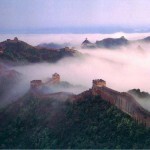 Booking sample of 5* Hainan Airlines non-stop flights from Dublin to Beijing from €391! In this case you would be departing from Ireland to China on 11th of May. Inbound flight from Asia back to Europe then on Sunday, 26th of May 2019.